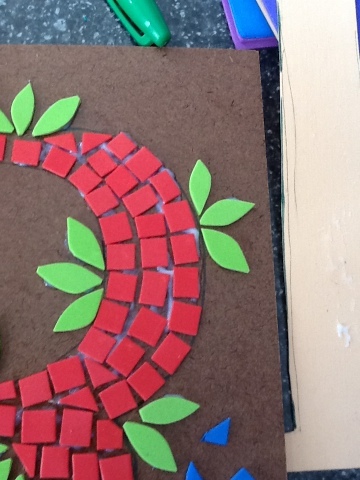 Making a mosaic with foam | ARTZCOOL'S BLOG! I saw this done online, on a tin can, and I have wanted to try it ever since! Yesterday at the dollar store, we picked up a pack of the foam sheets. I have to say that I was a little disappointed that the sheets were all different thicknesses. 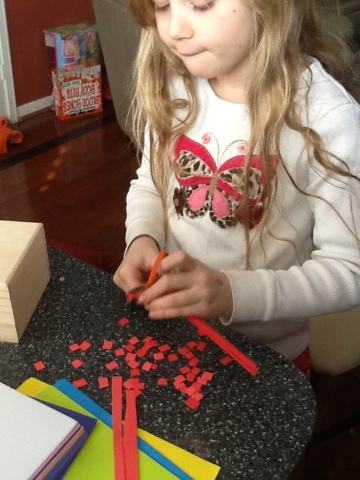 We startedby cutting the foam into little squares. The kids had a tough time cutting the strips evenly, so I ended up cutting the long strips, and they cut them into squares. 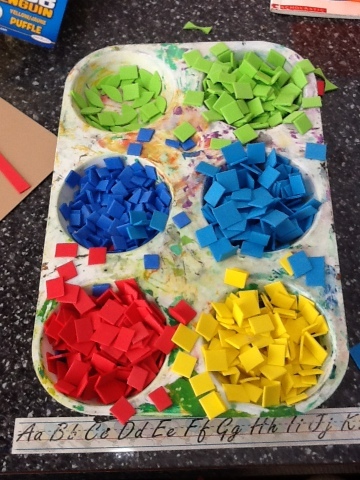 We used one of my paint palettes to keep the colours from mixing together. 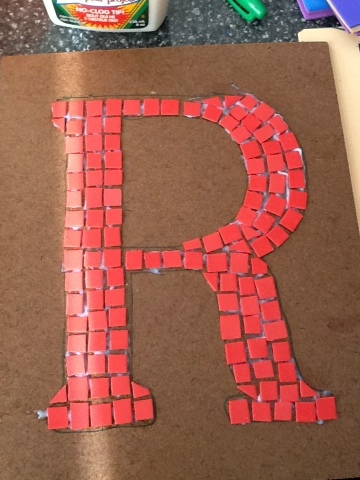 Using white glue, we covered a small area at a time, then glued on the squares. After I had the letter done, I added the leaves around. 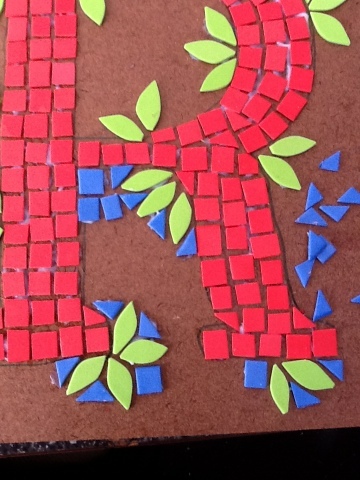 Then, I started adding the blue, I cut the squares diagonally and fit them in around the leaves before filling in the rest of the space. 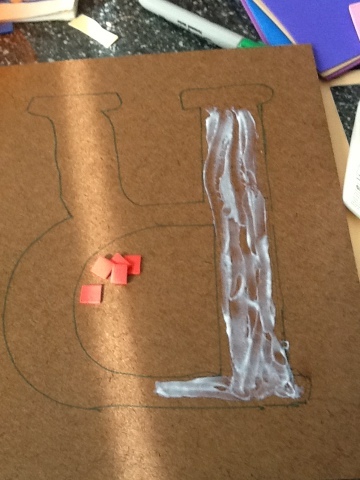 Then, once I had all of the pieces glued down, I needed to leave the glue to dry for a couple hours. 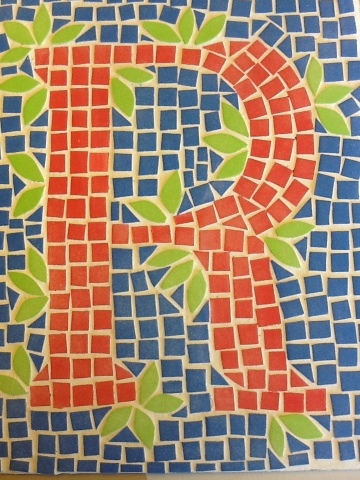 I decided to try to grout my mosaic first, just to make sure it actually works before the kids do theirs. 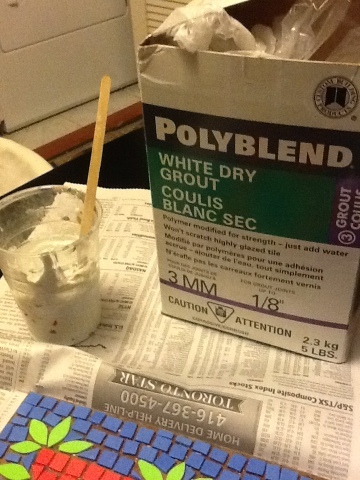 And spread the grout over the entire board. 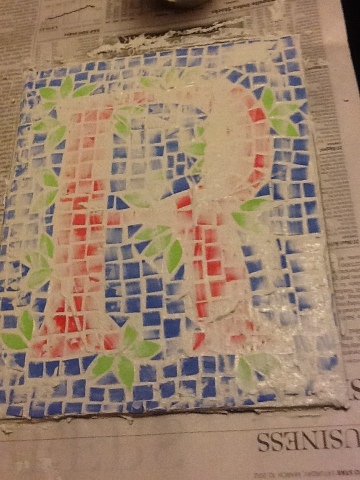 Finally, I let it sit for about 10 minutes, then wiped off the grout with a damp sponge. When it dries, I am going to seal it with some varnish. 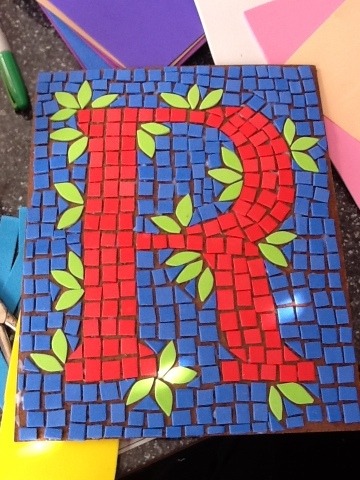 Next letter is the T….